I am a British author, educator and activist. Founder/director of the Spiritual Companions Trust an educational charity focusing on a holistic and person-centred approach to spirituality and health. My 26 books include The Endorphin Effect and The Power of Modern Spirituality. Born in London, his original career was as a novelist and publisher. He had eight books published, and had been a senior commissioning editor at Macmillans by the time he was 25. He also co-founded Advise, the first 24-hour immigrant advisory service in London and was involved in the publication of International Times. He then took two years spiritual retreat living off-grid in the High Atlas Mountains of southern Morocco. As a mature student he studied and then taught at the London School of Economics where he gained his doctorate in political psychology. 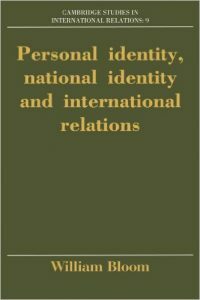 His Personal Identity, National Identity, International Politics was published by the Cambridge University Press. He then moved to work with special needs adults and teenagers in Southwark College and gained a Cert.Ed. specialising in that field. 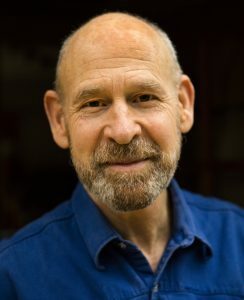 His background also includes three years of psychoanalysis with Dr Edward Glover and ongoing immersion in psychotherapies and complementary approaches including bodywork, breath work, indigenous and pagan, and a regular daily meditation practice since his early twenties. He co-founded the Alternatives Programme of St. James’s Church, London; is a Fellow of the Findhorn Foundation, Europe’s leading eco-spirituality centre. His books are translated into sixteen languages. The essence of my life is simple: In my early childhood I had several powerful experiences or instincts that have remained with me and inspired me. The first was a very powerful sense of the beauty and wonder of life; just looking at the blue of the sky was enough to make me experience and know that there was a power and goodness behind everything. The second was that I kept noticing that there was more to me than just the child, the personality, I presented to the world. Within me there was another identity – watchful, strong, loving. The third was an instinctive outrage at and sense of compassion towards injustice and suffering. My life has been about developing and integrating those three influences. I teach what I too am learning and deepening. At the centre of life is my meditation practice: an hour in the morning and usually another hour later in the day. Read my blog on why I meditate. My history includes retreats and several long periods in which I sat for five or six hours a day. It is in meditation that I learn most – at all levels. For all my book writing, teaching and activism, I love rough and tumbling with children, motorbikes, dogs and friendly adults. I am happiest meditating, being in landscape and participating in group situations where there is a creative, vital and educational process. I also love movement and dance (all sorts), work out at the gym regularly, and practice chi gung and yoga. I like watching movies and am grateful for the stimulation, challenges and love of my family. I stopped writing fiction when I was twenty-six. I have been leading workshops and giving presentations for over thirty years. I am accustomed to small and very large groups. My current programme consists of workshops and courses under the umbrella of the Spiritual Companions Trust; and of presentations and trainings specifically developed for organisations and conferences. I have featured in many radio and television programmes including The Moral Maze, The Soul of Britain and as a judge on The God List. I had the honour of addressing the UN Oslo Conference on Religion and Belief (August 1998) where the Holistic approach to spirituality was given equal status alongside the traditional faiths. Born in 1948, William Bloom grew up in central London. His mother, Freddy Bloom, was a New York journalist who spent the war years in the notorious Changi Gaol; after the war she founded the National deaf Childrens Society and was one of the first people to have her life done on This Is Your Life. His father, Phillip Bloom, was a psychiatrist specialising in psycho-sexual problems. 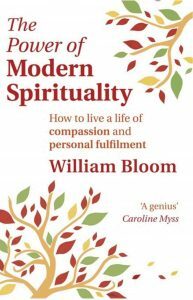 William Bloom attended St. Pauls School, London, but dropped out to become a full-time participant in swinging London, flower power and counter-culture. 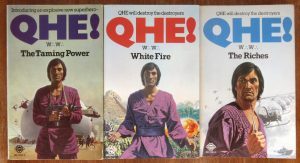 At the age of 22 he became the youngest ever commissioning editor in publishing at Macmillans where he founded the Open Gate imprint to promote counter-culture books. He was the first person in the UK to publish Lenny Bruce and gave Macmillans their first number one bestseller in many years with a biography of Elvis Presley. He also co-founded Advise, the first 24-hour immigrant advisory service in the UK and published International Times for a short period. He rode with and was an honorary member of the All England Chapter of the Hells Angels. His writing in the early 70s included three novels, one novella (all published before he was 25) and four thrillers (under a pseudonym.) His novels received lead reviews and he was considered an important writer of his generation. At the same time, he was in psychoanalysis with Dr Edward Glover, one of the founders of psychoanalysis, for three years. He then undertook a two year retreat living amid the Saharan Berbers in the High Atlas Mountains of southern Morocco, a spiritual quest which changed his life. His diary of this period was published as The Sacred Magician and is considered a classic work of its kind. In 1976 he founded a small community and meditation group in Glastonbury and brought up his first child, James, with his first wife, Frances Howard-Gordon. William then studied International Relations as a mature student at the London School of Economics, where he also taught and gained a doctorate in political psychology. This was published by Cambridge University Press as Personal Identity, National Identity and International Relations. (1989, 1992.) He lectured at the LSE on Psychological Problems in International Politics. During the same period he gained a Certificate in Education at Garnet College, specialising in communication skills, counselling and special needs. He turned away from an academic career to work as a tutor with special needs adolescents and adults for ten years in an inner city community college, Southwark College; he also helped pioneer a certificated course in community group management. Since the late 1970s Williams writing and teaching have reflected his interest in new approaches to exploring consciousness and spirituality. In 1988, with his wife Sabrina Dearborn and friend Malcolm Stern, he co-founded and directed the popular Alternatives Programme at St. Jamess Church, Piccadilly. This is London’s major platform for holistic perspectives and includes weekly lectures, workshops and classes covering a wide range of alternative perspectives including tribal religions, new psychology, new science, spiritual ecology, meditation, metaphysics and the arts. The programme is deliberately accessible and attracts over fifteen thousand people every year. He has also been on the faculty of the Findhorn Foundation, considered by many people to beÂ the major holistic community in Europe, for over twenty years. He teaches and runs workshops internationally and has regular bases in Denmark, Norway, Bulgaria and Slovenia. He has featured in many radio and television programmes including The Moral Maze, The Soul of Britain and as a judge on The God List. He had the honour of addressing the UN Oslo Conference on Religion and Belief (August 1998) where a Holistic approach to spirituality was given equal status alongside the traditional faiths. In 2007 he co-founded the Foundation for Holistic Spirituality and the Spiritual Companions project.